Did you know that February is American Heart Month? In a world with so many health issues and problems I really try to focus on finding my family things that help promote a healthy lifestyle while still bringing fun & great tasting things to the table! I really want my children to realize the importance of good foods, the right color food choices and what each of them adds to their well being, as well as the importance of keeping an active lifestyle! Did you know that colors of foods can help you determine what part of the body they are good for? I looked into this a decided to show my kids all about one of the least common eaten color groups and that was purple foods, which just so happen to be one of the most supportive to a healthy heart! So what better time than American Heart month to do some learning & hopefully healthy habit making! 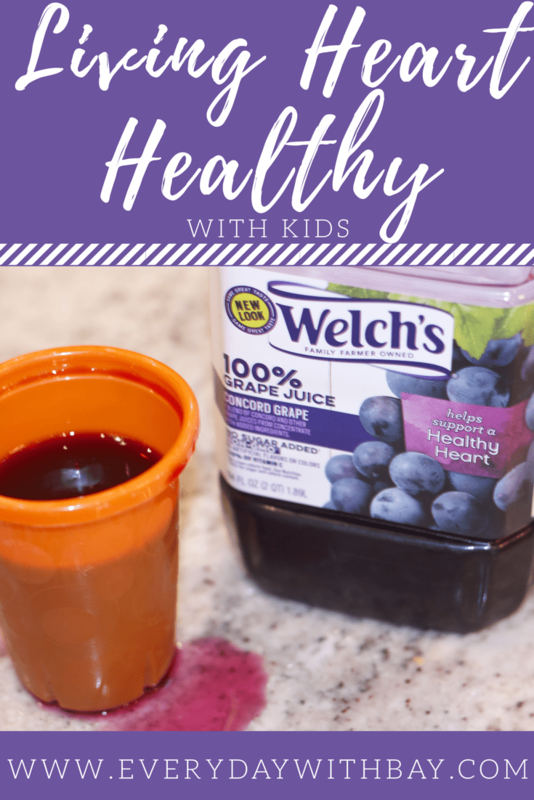 My kids hardly drink juice and up until this heart healthy lesson about purple foods, in which I picked Welch’s 100% Grape Juice (no added sugar) they had never even tried grape juice, and let me tell you…it was a hit! They wouldn’t stop talking about how delicious it was all the while I was able to explain to them that purple foods (the grapes that make the juice) in the correct serving sizes were helping promote a healthy heart! I mean look at this grape juice mustache! 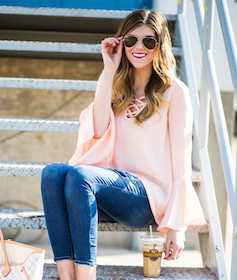 Make sure you click this link to download a coupon for Welch’s 100% Grape Juice! I don’t think my kids have ever tried grape juice. Thanks for reminding me how delicious it is!